651x366 The head of Catalan referendum investigation. The head of Catalan referendum investigation. Did the Guardia Civil officer who led the October 1st investigation use the Tácito nickname on Twitter to post messages against the Catalan independence process? The question will remain unanswered for the moment. When he testified a few weeks ago before the Supreme Court, Lieutenant Colonel Daniel Baena, chief of the Guardia Civil's judicial police, denied being the owner of, or administering, this Twitter profile (now closed), although in a recorded conversation with Público newspaper he had admitted to it. On the day of his appearance, the same paper revealed that Baena and Tácito shared the same profile picture. Based on this, the defense teams asked the 13th Court judge to investigate whether it was the same person, but the judge has denied the request. 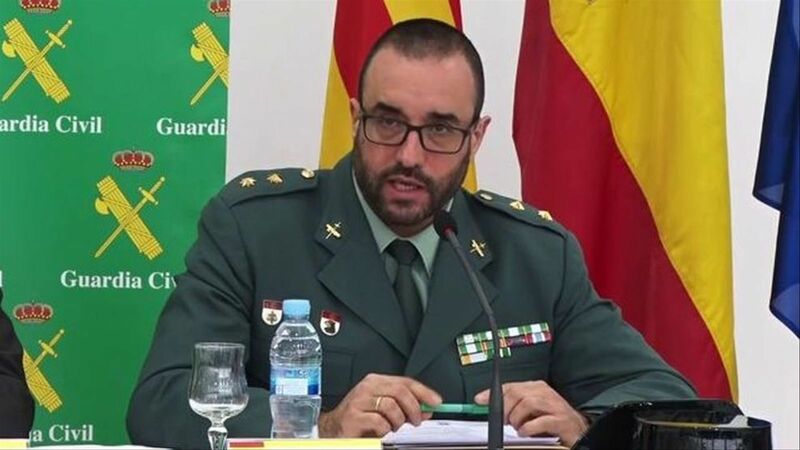 The defenses had asked the judge to urge Twitter to certify the address of the computers from which Tácito had posted certain messages to ascertain whether they had any connection with the Lieutenant Colonel of the Guardia Civil. They argued that if it could be proven that Baena and Tacitus were one and the same, the investigation and police reports authored by the Lieutenant Colonel would have to be invalidated. In a resolution reported by Efe [a Spanish wire service], the judge explained that investigating whether the head of the Guardia Civil judicial police is the user of the aforementioned account has no "transcendence or relevance", since "the validity of his professional performance, producing statements and reports and coordinating an investigation [that, which should not be forgotten, is led by an investigating court] does not depend on the political views that he may hold." The judge referred to the Supreme Court resolution that had already ruled out probing this point, using the same argument. The court said that the ideological considerations of those in charge of, and members of, security forces did not affect the validity of their investigations. "An account was linked to me, because I followed that Twitter account from my personal account, and a reporter published that," Baena told the Supreme. The Lieutenant Colonel not only denied being the owner of the account, but also denied any role in its management. However, Público released a telephone conversation with the Lieutenant Colonel in which he eventually admitted that he managed the profile, together with other people. "I am not [doing it] on my own, you see", he said in self-defense.